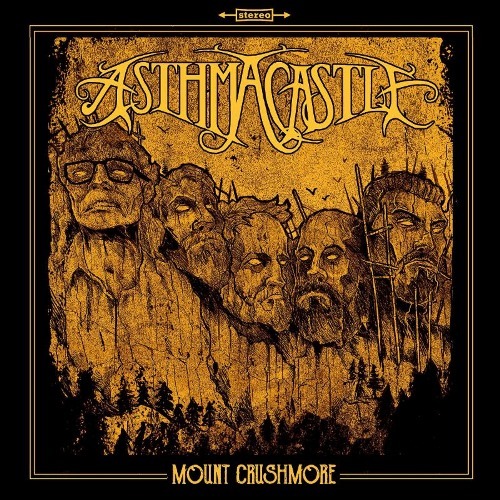 Debilitating stoner metal/sludge collective Asthma Castle – featuring drummer Adam Jarvis (Pig Destroyer, Misery Index, Scour), the twin guitar attack of Justin Ethem (Integrity touring guitarist) and Cameron Smith (Passage Between, Crawler), vocalist Zach Westphal (ex-J. Roddy Walston And The Business), and bassist Jeff Davis (Damnation Audio effects pedals) – will release their Mount Crushmore debut full-length via Hellmistress Records this March. 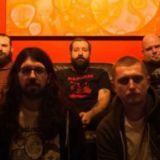 Self-described as “hefty metal”, Asthma Castle manifests a unique and seamless, riff-heavy blend of stoner metal/rock, heavy metal, prog, and sludge that takes its cues from the likes of Weedeater, Church Of Misery, Mastodon, Lowrider, Dozer, and Clutch without ever seeming derivative. Their fittingly-titled Mount Crushmore full-length is a six-track, thirty-seven-minute bruiser recorded and mixed at Wrightway Studios (Dying Fetus, Misery Index) and mastered by Scott Hull of Pig Destroyer at his own Visceral Sound Studios with cover art by Gary Ronaldson at Bite Radius Designs (Napalm Death, Kreator, et al). 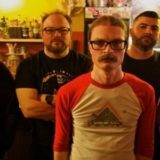 Whether it’s their bottom-heavy grooves, infuriated wails, bludgeoning riff assaults, or tongue-in-cheek song titles (see “The Incline Of Western Civilization”, “The Book Of Duderonomy”) one thing’s for certain, you’ll always have a good time stealing souls and packing bowls with Asthma Castle. Mount Crushmore will be released on March 15th on CD, digital, and vinyl formats via Hellmistress Records. The vinyl edition will be limited to five-hundred in three color variants: 175 x heavy black splatter on gold, 175 x white splatter on black, and 150 copies x gold, white, and black tri-color bleed. 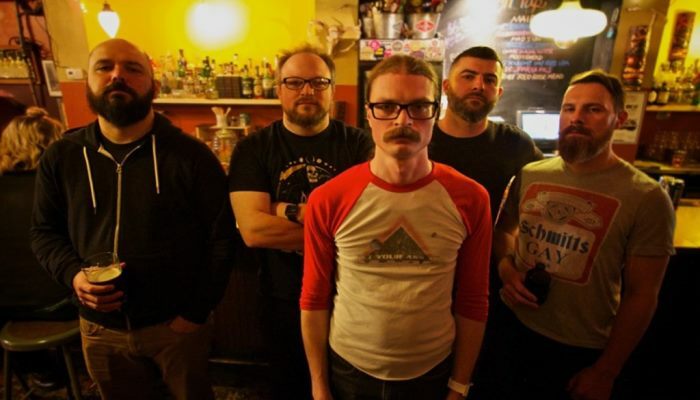 Recently off a brief but successful East Coast US tour, Asthma Castle has played with numerous national acts as well as Maryland Deathfest and Days Of Darkness. The band will play two special hometown shows with more to be announced the in the weeks to come.